GGetting radio airplay isn’t a dice roll. It’s not a matter of doing multi-million dollar promotion campaigns, especially not in public or indie radio (where your attention should be if you’re a DIY artist). 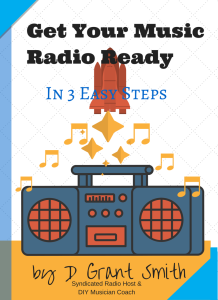 As I’ve written in a variety of past blog articles, the science to getting radio airplay has a lot more to do with only a few key pieces, and they must be made a high priority. Community building is top of that list. 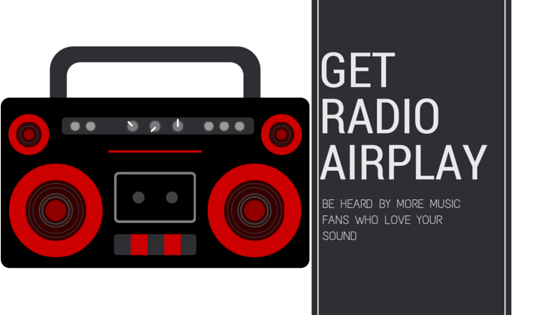 Songs that get radio airplay are determined by managers and directors at each station. Each person has their own individual perspectives and motives for what they play and what they don’t, as well as how often some songs get rotation versus others. The truth on how radio stations decide which songs get played actually has to do with a few factors that you might not realize. It’s important to note the motivations of indie & public radio stations compared to commercial stations, particularly when it comes to submitting music for airplay (which is also why your focus should be on indie & public radio instead of commercial if you want serious consideration from radio). Station managers with commercial radio will give a few spins here and there to “unknown” or DIY musicians if it fits with the format and if they earn the respect of either the DJ or the station management. Once songs begin to chart more (meaning that the music ranking organizations like Billboard and CMJ are recording more plays nationwide) those songs will get more rotation. Much of this is based on requests and promotion dollars from the major labels. Individual artists and DIY musicians don’t always have the pocketbooks or the clout up front to make regular rotation on commercial radio happen. As a DIY artist, your desire is getting your music on stations who will be looking to not only add indie and unsigned artists to their station playlists. These are the radio stations and managers who you should be trying to figure out how to gain the interest of. Indie radio is your ticket here. What does that look like? The songs that get airplay first off have to meet these three qualifications. Sound quality and production value are paramount. Most professional radio outlets qualify potential music submissions on the quality of the recording first. It’s instinctive, we aren’t going to play a poorly mixed song. The last qualification plays the largest role in not only whether as song will get added to the rotation of a radio station but also how often it will be played. Simply put, if a radio station manager, music director, or approved station personality likes a song, it will probably get some radio airplay. If that song also catches on with other station staff and especially with listeners, that song is going to get a lot more spins. To be in this industry and in this creative space, you have to be a music fan. Radio station managers are fans of music too, and often we’re fans of artists who not only make music that we enjoy but also who have engaged with us in some manner. Just like how a runner will study the track, prepare for the best start, have the best equipment, and train well before ever launching from the starting line, it’s essential that you have the right preparation tools to get started. Often times, as musicians we don’t always think about the pieces that need to be in place aside from having our recording ready, graphics laid out and perhaps have assembled an EPK. There are some other key elements that will ensure you have the most success with your music submission from the get go. All of these tools are in this Ebook. Download the ebook here for free.